prodebut for Olympic gold medal winner Mosely. 60-53 on all cards. De Carolis won the vacant Italian supermdiddleweight title on scores of scores 100-89, 100-90 and 99-90. 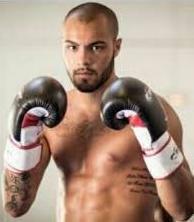 Vacant IBF Mediterranean cruiserweight, scored 119-109, 118-110 and 116-112. Fortea won the Spanish superwelter title on scores of 99-91 twice and 100-91. 40-36, 39-37 and 40-40 (!). Mbili retained the WBC Youth title. 78-74 and 77-75 Gomez and 77-75 Rosales.